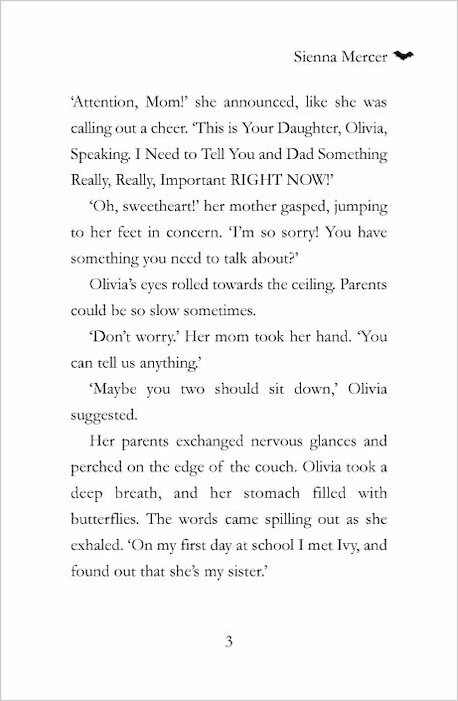 The secret is out – cheerleader Olivia and vampire Ivy are twins! Now that the sisters have told their friends, it’s time to come clean to their adoptive parents. 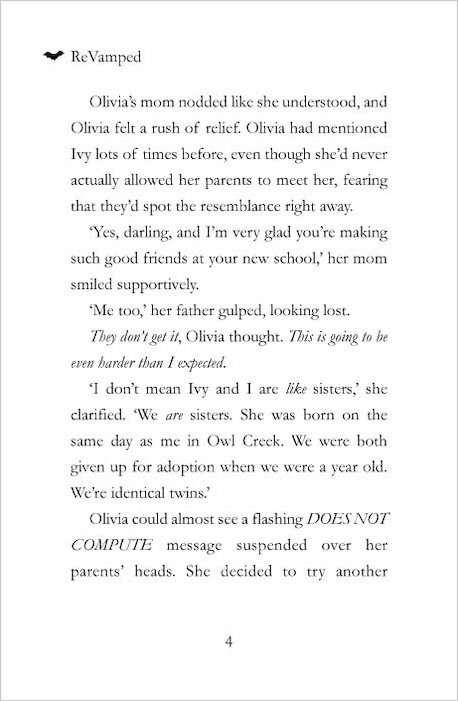 But Ivy’s dad doesn’t want to meet Olivia! 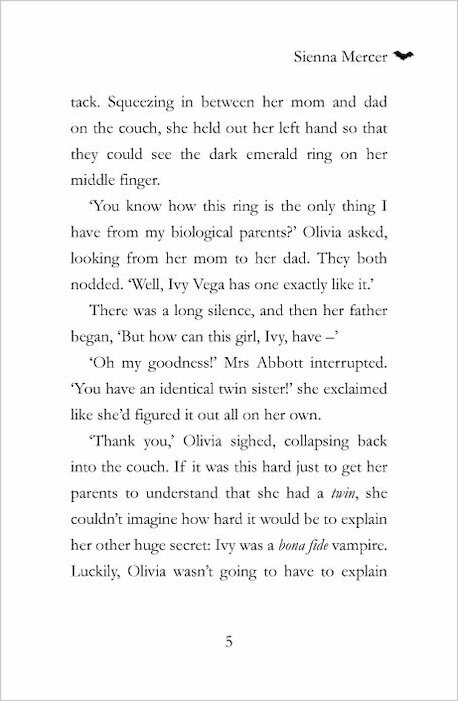 Even worse, when the vampire officials realise that Olivia knows the truth about vampires, they demand that she pass three tests to prove she can be trusted. But these aren’t any old tests, and they’re guaranteed to get the blood pumping. Yikes! One thing’s for sure – if the sisters can get through this, they can get through anything! 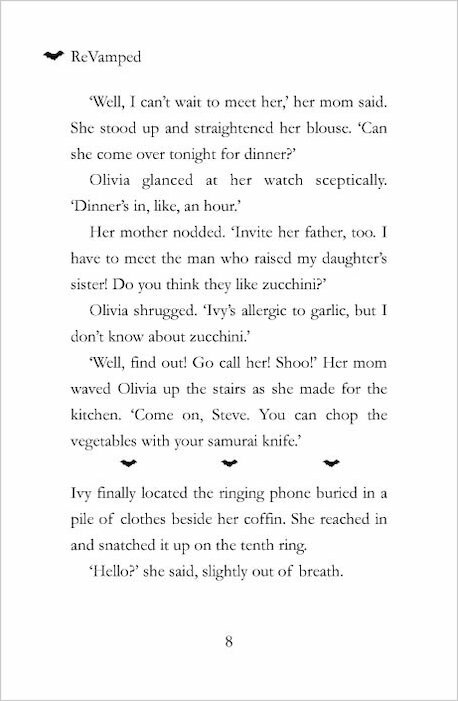 The third fangtastically funny tale in a bestselling series. 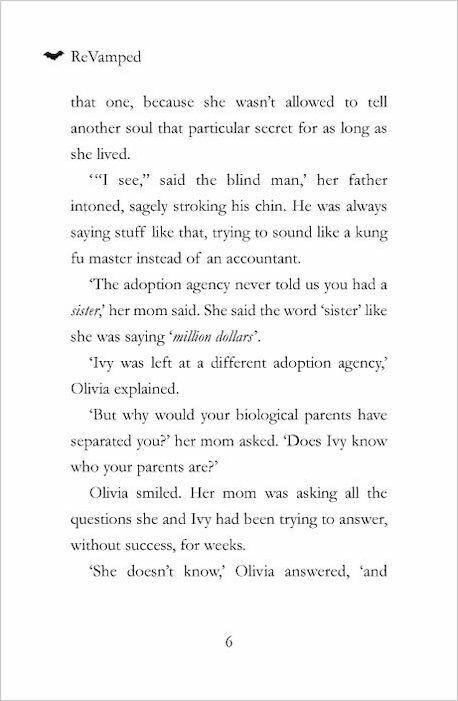 I loved this book very much and read it with all my heart and if she does not pass these 3 tests then all of her memories about(her twin sister) Ivy will be gone away forever!!! they surely have a great bond of being very different and vivid twins. olivia and ivy make ways of getting into the centre of trouble!! well this its one of the best books tat I read in all my life and this book its a amazing and yhats how sienna mercer was my fave author. Love it!! 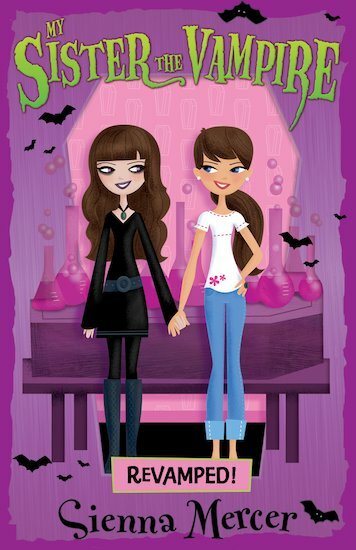 It us the best ‘my sister the vampire’ book I have read so far!! READ IT!!! IT’S GREAT!! it is the best my sister the vampire book I have had well the firs but it is my Favourite so far I am really glad that Olivia passed the tests that she had to do the night and morning she slept at Ivy’s house and Olivia thought she wouldn’t pass the tests but she did also it was very sad for Ivy when her father said to Ivy that he was going to Europe and Olivia and Ivy was both sad when Ivy mentioned this to Olivia. I absoutlutely loved this book.On world book day I dressed up as Ivy and it as SOOOOO fun! I think everyone should know about these books. It was a really great book. I love the series <3 ! I haven’t read this book but would love too! I Agree with VampireSinger ! shes just like my we both love my sister the vampire and vampire stuff O.O well i hope people can read this series because its awsome! This book was amazing! It is very heart touch and is so exciting! I could not stop reading it until I finished. 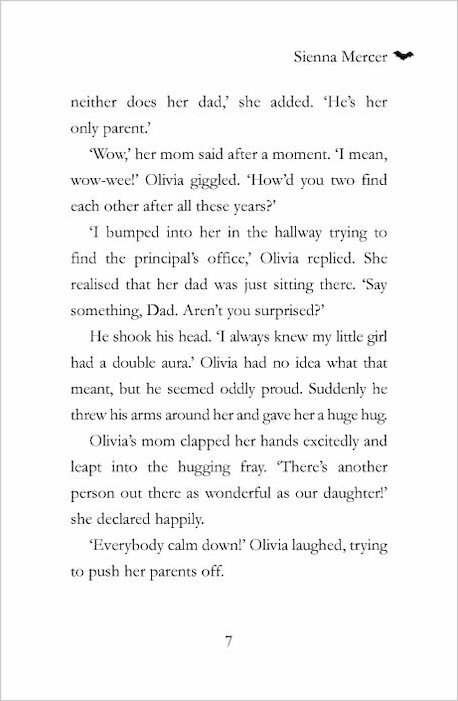 At the end, there is a big surprise of who is Olivia’s and Ivy’s Dad is, but I won’t tell until you read it! Everbody should read this amazing, fantastic, and vampire exciting book! My favourite character is Ivy because I like her Goth character but my decision did change in about chapter 8 when Ivy wanted to break into ASHH and then when she decided to have a look around her fathers study. I was quite happy when Ivy and Olivia eventually found out that Mr Vega was their father. this is really good book recomed this to any one! This book was awesome.I keep reading it. 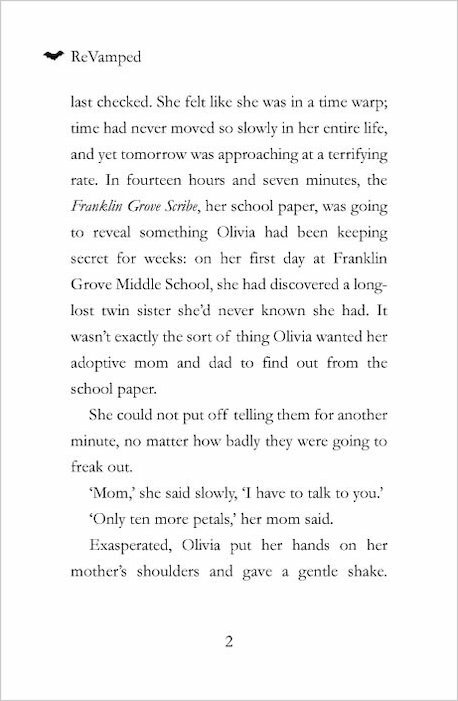 This book is really good it is about 2 girls that find out they are sisters. This is such a great book.. Ivy Vega is my Favorite charactor. I loved this book, I read this book as soon as I got it!! I’ve read this book about 6 times in 2 days. I loved reading this book, i read it over and over again! I’ve started collecting them and all i need bnow is the last one! =( i don’t this series to end.